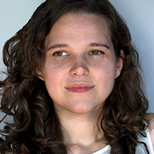 Kendra R Chamberlain is a Louisiana-based storyteller, writer and multimedia investigative journalist. She covers topics related to climate change, environmental policy, and the innovation and technologies that are driving the global transition to low carbon economies. She blogs at www.TechnigraphMagazine.com.